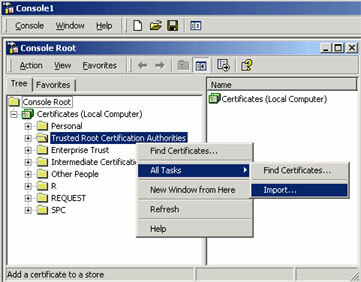 Right click the Trusted Root Certification Authorities, select All Tasks, then select Import. Locate the Root Certificate and click Next. 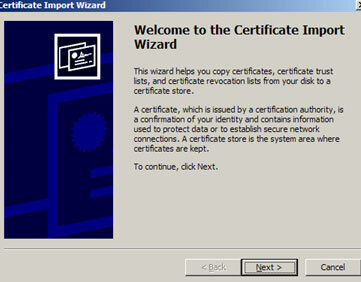 Complete the import wizard again, but this time locating the intermediate Certificate when prompted for the Certificate file. Once these are installed, you may need to restart the server.